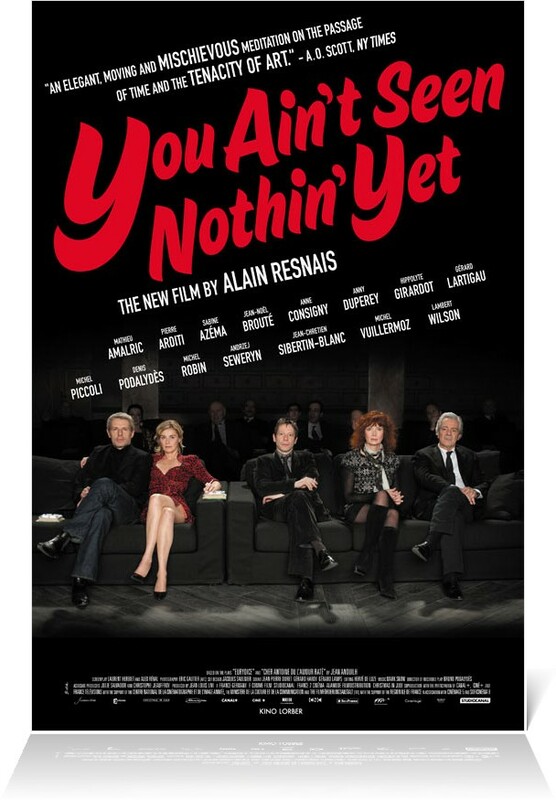 Although the title might sound like a defiant statement of sorts, in truth YOU AIN'T SEEN NOTHIN' YET is practically accessible by the standards of director Alain Resnais. 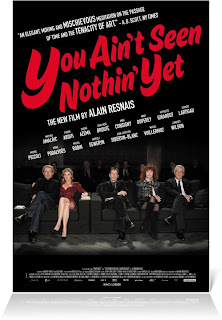 While still adopting a highly affected structure as in such early and influential films as HIROSHIMA MON AMOUR and LAST YEAR AT MARIENBAD, the plot of YOU AIN'T SEEN NOTHIN' YET actually follows a fairly linear path. And while it might seem a bit odd for a group of mourners gathered for the reading of a will to start acting out a play, it does make a kind of sense given the setup here. The mourners are all actors who at one time or another played various parts in the play Eurydice, a work written by the deceased Antoine d’Anthac (Denis Podalydès). As part of his will, he has asked the assembled actors to view his most recent staging of the play and critique it. Instead, the mourners find themselves drawn back to their old roles and begin performing right along with the new cast, giving us multiple versions of the same scenes. Thankfully the play that is being performed, in reality written by Jean Anouilh, is engaging enough to hold our interest as we see the various interpretations of key moments. But while the plot may strike a more straightforward path, and the ideas that Renais is playing with are fairly easy to grasp, the film never really connects on an emotional level. As much as LAST YEAR AT MARIENBAD traded in artifice, that's one criticism you could never level against it. And yet, the film drew me in nonetheless. It may not be a masterpiece, but for what is evidently the final work from its 91 year old director, it is by no means a bad way to go out. 3 out of 4 stars.